Dr. Watanabe describes all fungi alphabetically under the orders of Oomycota, Zygomycota, Ascomycota, Basidiomycota, and Anamorphic (Deuteromycetous) fungi. For each genus, he includes type species, references, morphology, and materials. Morphologies of cultured fungi are briefly described and illustrated together with the description of the isolation sources and methods. 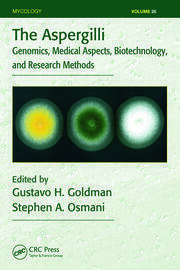 The book illustrates all fungi alongside morphologies and colonies of their fresh agar cultures or dried specimens, providing ready access to morphologically similar fungi for quick comparison. Most of the fungi are isolated from soil, plant roots, and seeds, and the rest are from wood-inhabiting fruiting bodies, their spores, or the spore-like structures associated with them. They are mostly collected in Japan, but some are from the Dominican Republic, Paraguay, Switzerland, and Taiwan, R.O.C. Dr. Tsuneo Watanabe is an invited research scientist at the National Institute of Advanced Industrial Science and Technology (AIST) of Japan. He received his B.A. from the University of Tokyo in 1961 and his M.S. and Ph.D. degrees in plant pathology from the University of California, Berkeley in 1964 and 1967. Dr. Watanabe was active as a plant pathologist and mycologist in the field of soil-borne diseases, their pathogens, and soil fungi at the National Institute of Agro-Environmental Sciences, Forestry, and Forest Products Research Institute of Japan for 30 years. Upon retirement, he engaged in one of the national projects at AIST for five years, and subsequently worked continuously as an invited research scientist. "… presents a large amount of work collected systematically over a long period of time. …Dr. 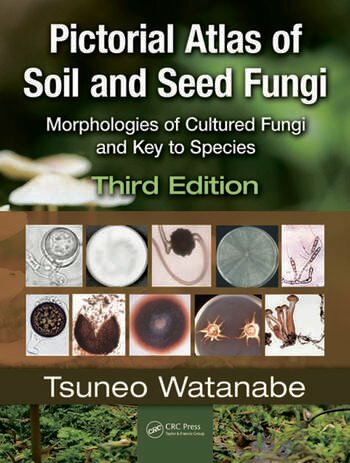 Watanabe shares his experience acquired as a plant pathologist and mycologist specialized in soil and similar fungi over a long period of time. …will soon become a standard reference in mycological libraries." "… a useful tool for all involved in mycological studies." "The methods presented, which have been worked out experimentally, are some of the best methods, particularly for culture maintenance, that this reviewer has ever seen in print …Each specimen is very ably illustrated with one to six photographs of outstanding quality, which should allow easy identification …All in all, an outstanding book for individuals interested in soil and seed fungi or for plant pathologists."